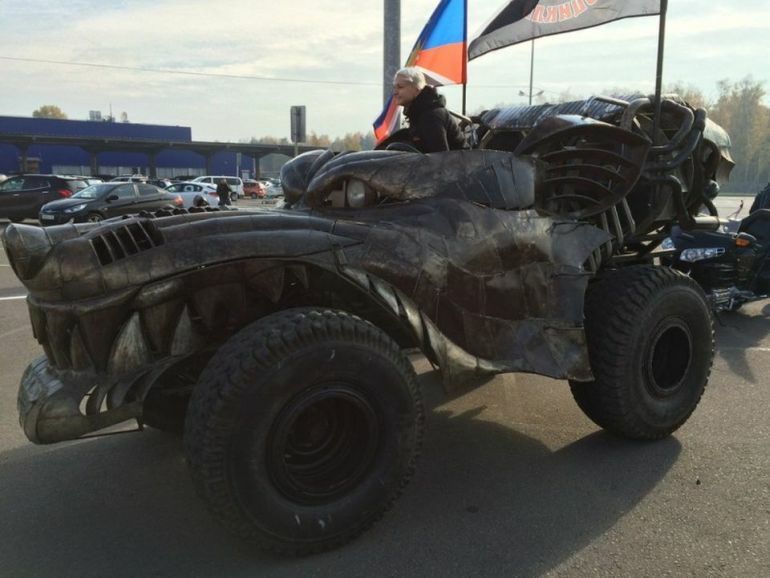 Many a car has been given the epithet of beast. 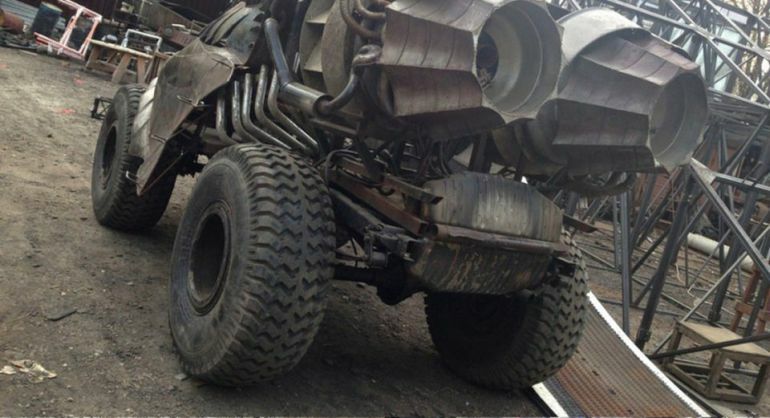 But the above pictured contraption – inspired by antics of Mad Max, takes the meaning to a whole new ‘beastly’ level. 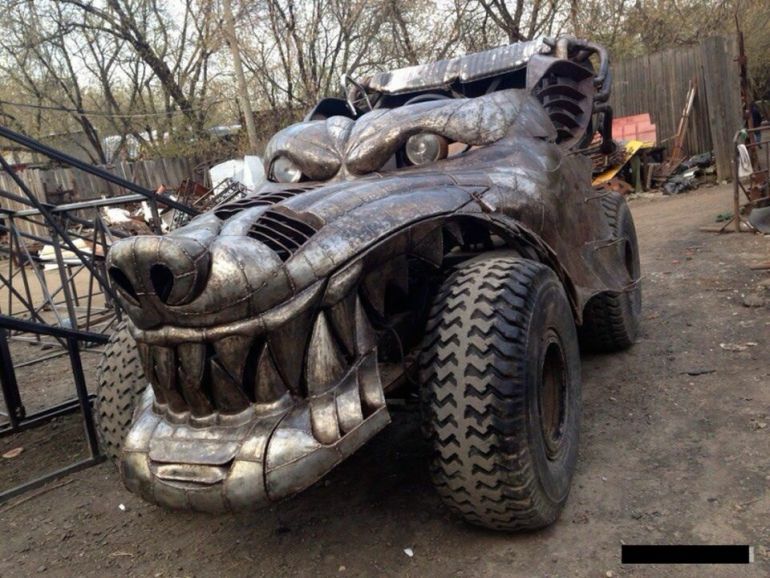 Christened as the Wolfen Dragon Car (yes, you read that right! 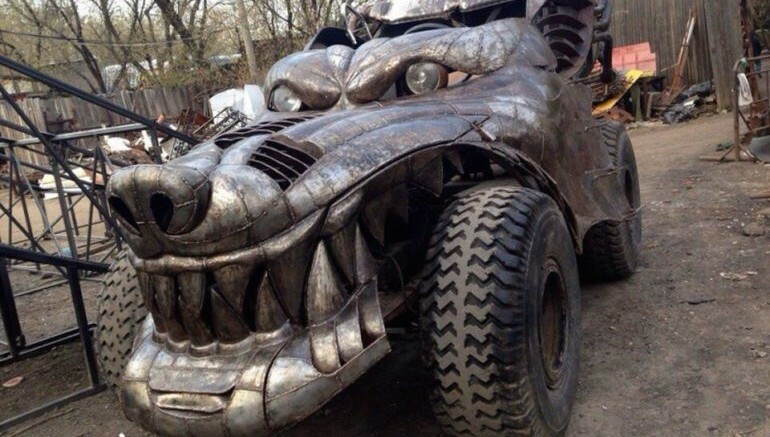 ), its boisterous body seemingly replicates the snarling visage of big, bad wolf. 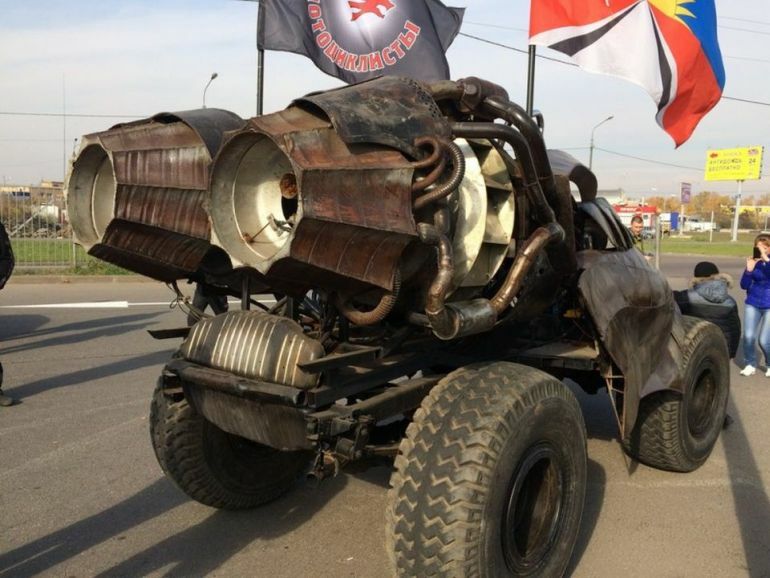 As for the dragon part, the automobile is also claimed to shoot fire from both its front and rear end – an incredible design element that has unfortunately not been evidenced (yet) by any photo. 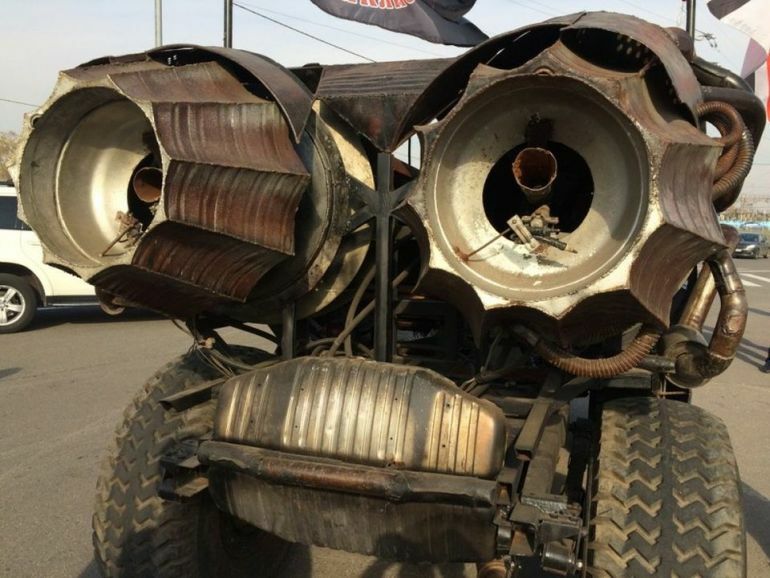 In any case, if you want to scare the war-hardened baddies of the Wasteland all the way to Valhalla, it is the fire-breathing Wolfen Dragon Car you should place your bets on.